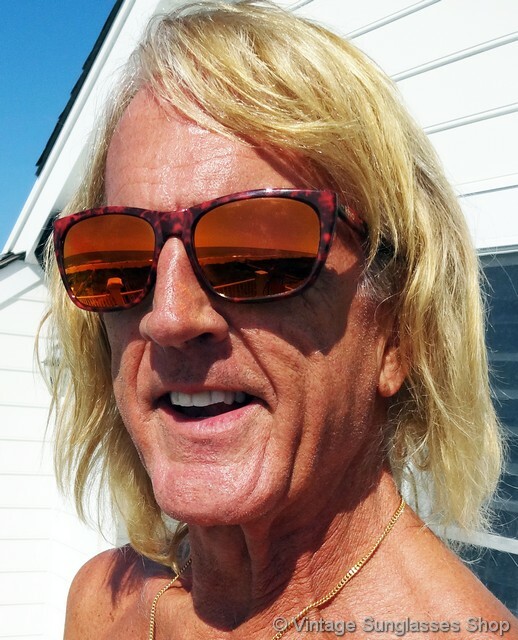 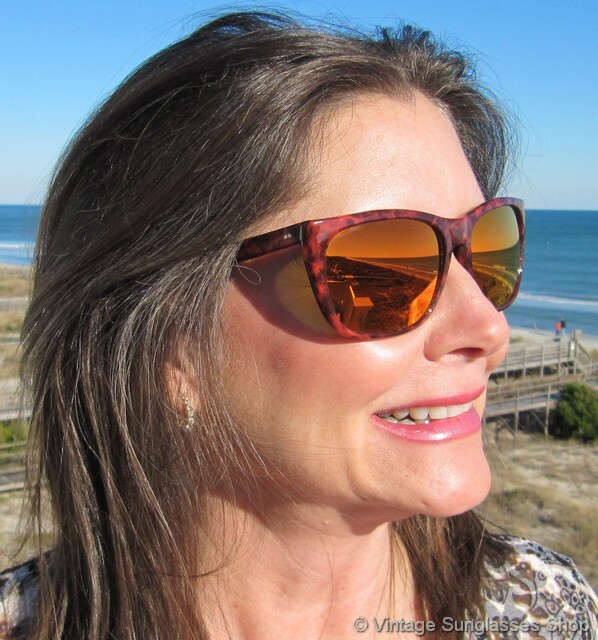 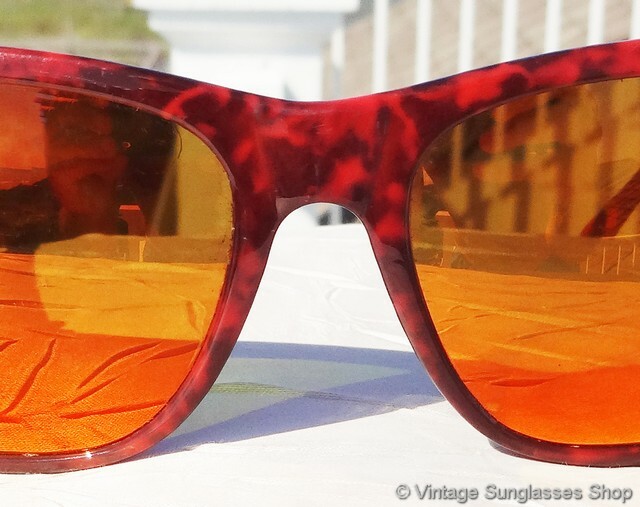 1 Vintage Revo 840 Grand Sixties sunglasses feature the very rare red tortoise shell frame that features black and orange highlights of various hues that all combine to perfect effect with the equally rare Revo orange mirror lenses. 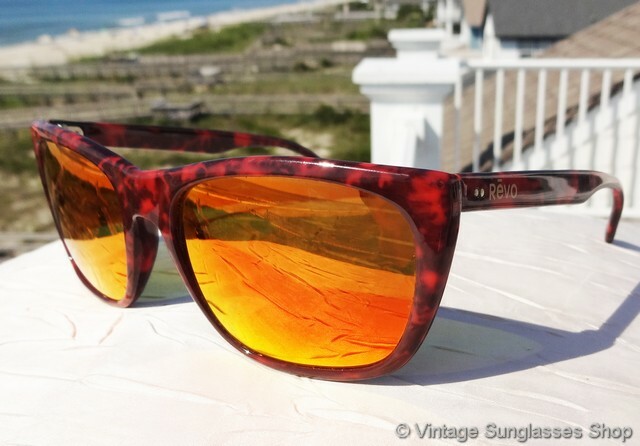 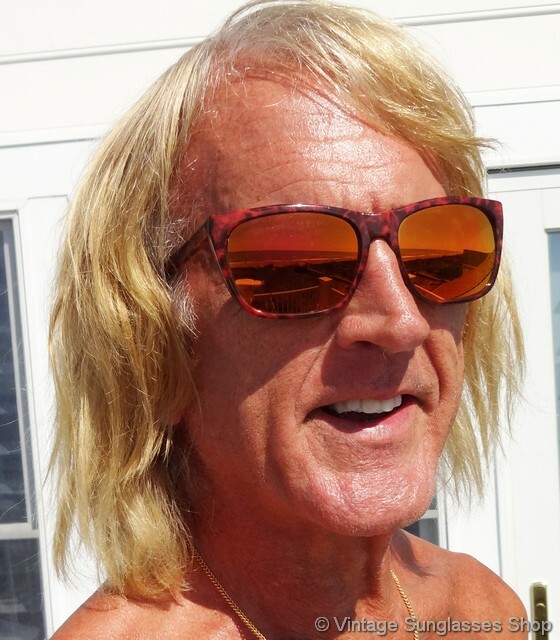 Revo 840 sunglasses and their prior year precursor Revo 750 sunglasses date to the earliest years of Revo production c mid 1980s and were reminiscent of vintage B&L Ray-Ban Wayfarer sunglasses - but with a lot more design flair! 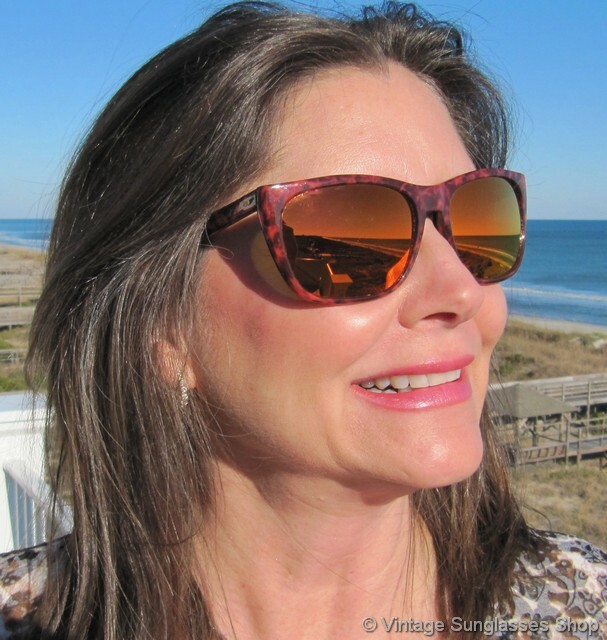 The unisex Revo 840 Grand Sixties frame measures approximately 5.675" temple to temple, and the lenses measure approximately 2.25" x 1.675" at the widest points. 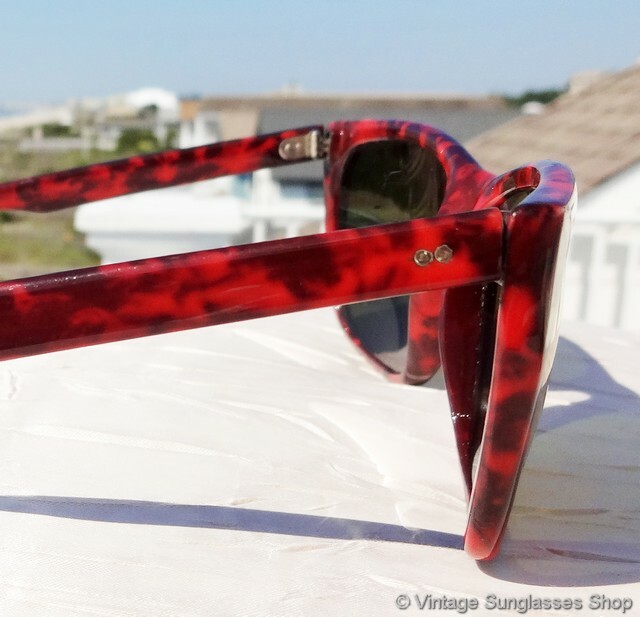 You'll find the Revo logo embossed in gold on the exterior of one ear stem, part of a fabulous collection of vintage Revo sunglasses owned by a well known television industry figure and customer of the Vintage Sunglasses Shop. 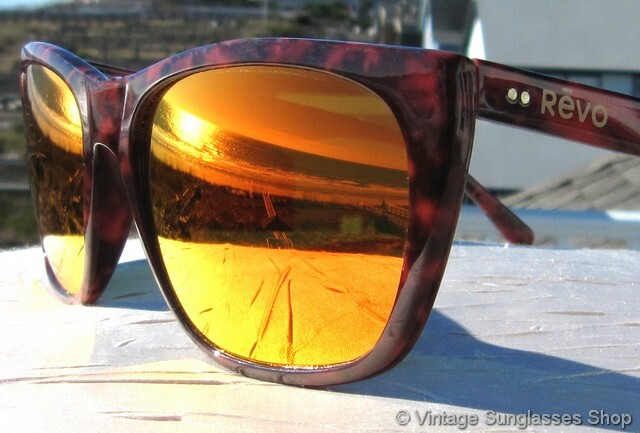 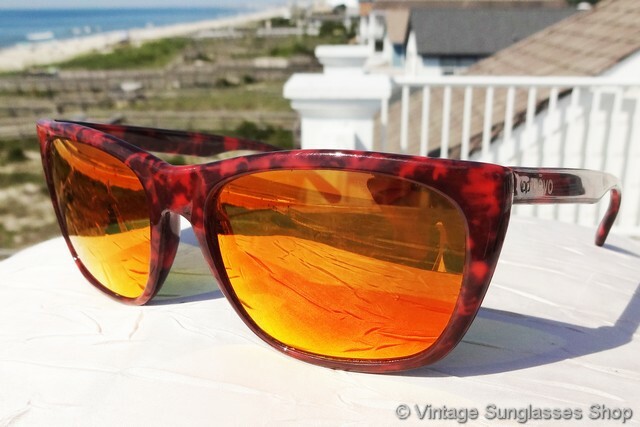 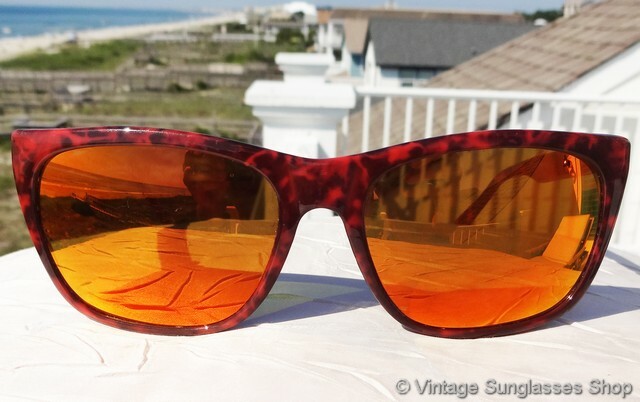 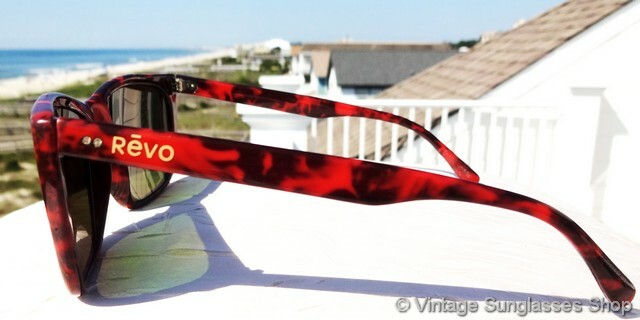 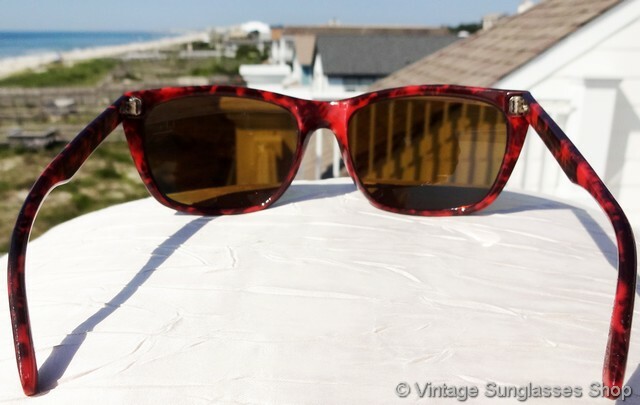 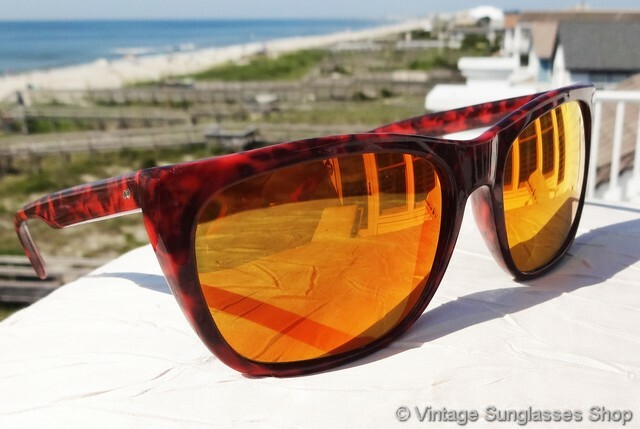 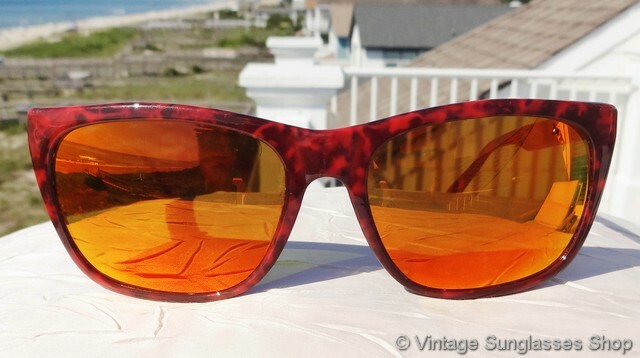 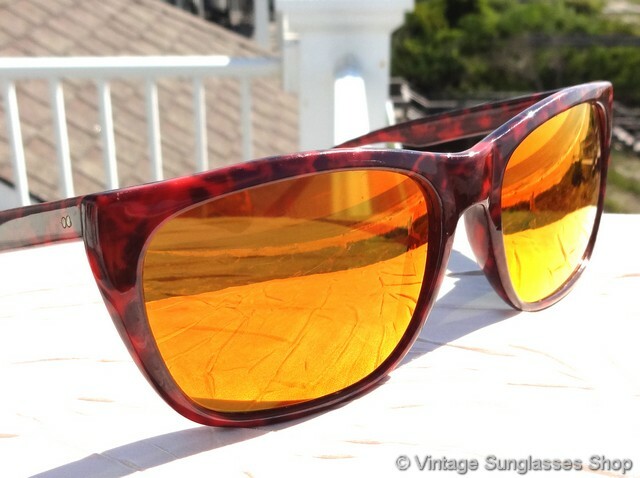 2 Step up another level beyond our already unequaled vintage condition standards with new old stock Revo 840 Grand Sixties red tortoise shell orange mirror sunglasses in mint, unworn condition.